So, the Galaxy Note 9 is official, and it’s going to be very expensive. 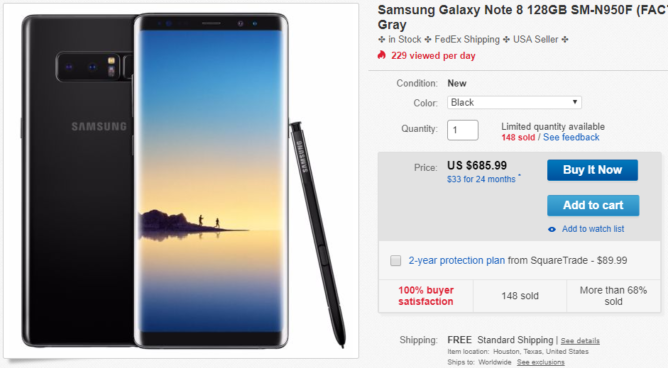 If you want a phone with a stylus and paying $1,000 for it isn’t an option, there’s always the Galaxy Note 8. that phone is on sale today for $685.99 on eBay. This is an unlocked device with 128GB of storage, not 64GB like the US carrier models. This phone is the N950F variant, so it has an Exynos 8895 instead of the Snapdragon SoC. You still get 6GB of RAM paired with the 128GB of internal storage. 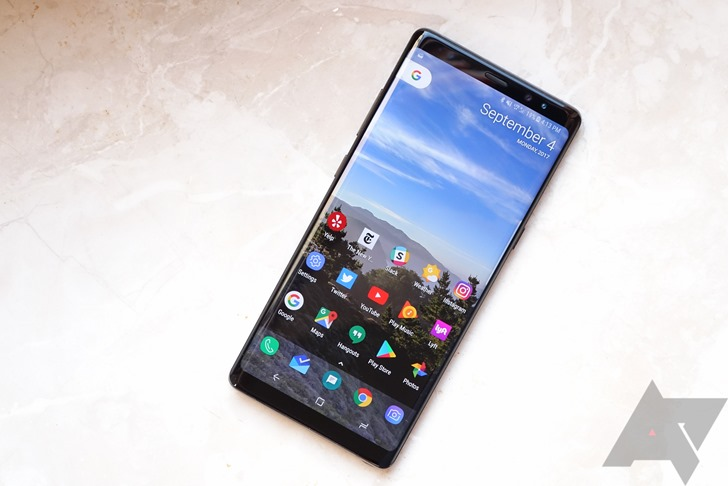 It’s unlocked for GSM/LTE networks with a good set of bands for use in the US, so you should be fine on AT&T, T-Mobile, or any of the associated MVNOs. Shipping is free in the US, but the seller will also ship internationally if you pay for it. In the US, you only pay tax on the purchase in Texas. Black is the only color available for this listing.